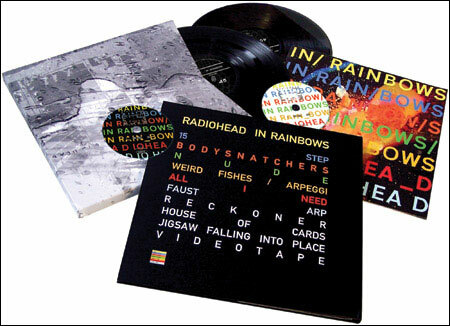 That's the size of the zip file for Radiohead's new album, "In Rainbows," which was released today as an MP3. This transaction will appear on your credit card bill as WASTE PRODUCTS LTD. or a shortened version of this. Is "Waste Products Ltd" meant to be self-deprecating? Ironic? I don't know, but so far I would say Radiohead's seventh studio album is anything but a waste product. Once I have a chance to completely digest it, I'll post a review.